WALSINGHAM, Francis (c.1532-90), of Scadbury and Foots Cray, Kent; Barn Elms, Surr. and Seething Lane, London. b. c.1532, o.s. 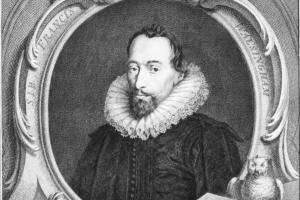 of William Walsingham (d.1534), of Scadbury, Chislehurst, Kent, by Joyce, da. of Sir Edmund Denny of Cheshunt, Herts. educ. King’s, Camb. 1548; travelled abroad 1550-2; G. Inn 1552; Padua 1555. m. (1) 1562, Anne (d.1564), da. of Sir George Barne, lord mayor of London, wid. of Alexander Carleill, s.p. ; (2) 1566, Ursula, da. of Henry St. Barbe of Som., wid. of Sir Richard Worsley† of Appuldurcombe, I.o.W., 2da. suc. fa. Mar. 1534. Kntd. 1 Dec. 1577.
great cause to thank God for that we presently enjoy, having God’s word sincerely preached and the sacraments truly administered. The rest we lack we are to beg by prayer and attend with patience. I leave it to your honours now to judge what account you may make of the amity of this crown. If I may without presumption or offence say my opinion, considering how things presently stand, I think less peril to live with them as enemies than as friends. As secretary, Walsingham continued to be concerned with European affairs, his own predilections being to support protestant movements everywhere. His justification for the heavy expense this would have entailed was that no support or half-hearted measures were more expensive in the long run, as he wrote to Leicester in 1577, over a subsidy for Duke John Casimir of the Palatinate: ‘this our art of saving £20,000 is accomplished with so many mischiefs like to ensue hereby as I fear will not be put off with the expense of a million’. For the love of God, madam, let not the cure of your diseased state hang any longer on deliberation. Diseased states are no more cured by consultation, when nothing resolved on is put into execution, than unsound and diseased bodies by only conference with physicians, without receiving remedies by them prescribed. If you knew with what difficulty we retain what we have and that the seeking of more might hazard (according to man’s understanding) that which we already have, you would then deal warily in this time when policy carrieth more sway than zeal. Similarly Walsingham exercised little parliamentary patronage, despite having almost boundless opportunities to do so. 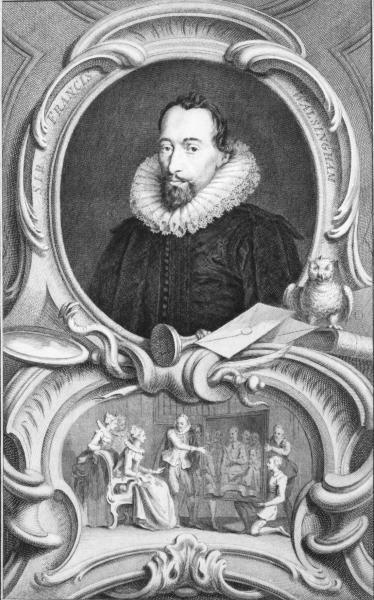 In 1589, the one Parliament when he was chancellor of the duchy of Lancaster, at most a dozen Members for duchy boroughs were his nominees, including Thomas Jermyn (Sudbury), a nephew of his friend Sir Robert Jermyn; and Francis Harvey (Knaresborough), who had been nominated by Walsingham at Colchester in 1584. The others were lawyers or minor duchy officials. Outside the duchy he could have nominated at boroughs where he was recorder or high steward, but again he did not do so. Colchester’s offer of both seats in 1584 may well have been spontaneous, and in 1586 he was so late in applying that the election had already taken place. Far from seeing this as an insult as other patrons did in like circumstances, he at once concurred with their choice. The last two years of his life were a long struggle against ill-health, with recurring attacks of an internal complaint from which he had suffered since his youth. Ill as he was, he continued with his official work, attending a Council meeting only a fortnight before his death, which occurred at his town house at Seething Lane on 6 Apr. 1590. Because of ‘the greatness of my debts, and the mean state I shall leave my wife and heir in’, he was buried ‘about ten of the clock in the next night following ... in Paul’s church without solemnity’. Unless otherwise stated this biography is based upon C. Read, Mr. Secretary Walsingham and the Policy of Q. Eliz. 2. DNB; E. A. Webb, G. W. Miller and J. Beckwith, Hist. chislehurst, ped. opp. p. 112; SP12/121; APC, viii. 169; HMC Var. iv. 229; Essex Arch. Soc., Morant mss; N. Bacon, Ipswich, 329; J. J. sheahan, Hist. Hull, 2554; Neale, Commons, 181, 208; Cam. Misc. vi(3); Somerville, Duchy, i. 395. 3. Ex inf. Dr. Kenneth Bartlett. 5. Cam. Misc. vi(3); D. Digges, Compleat Ambassador, 253. 6. Quoted Neale, Eliz. 274. 7. CSP Span. 1568-79, p. 704. 8. Howell, State Trials, i. col. 1182. 9. N. H. Nicolas, Davison, app. A, 231 seq. 10. CSP Ven. 1581-91, introd. xxix seq. ; CSP Span. 1580-6, pp. 602, 612, 632; G. Mattingly, Defeat of Span. Armada, 123 seq. ; C. Read, Burghley, 391-409; Lansd. 96, f. 69. 12. Stow, Survey (1631), p. 761; Cam. Misc. vi(3), pp. 54, 64, 65; Wills in Doctors’ Commons (Cam. Soc. lxxxiii), 69-71. 13. Lansd. 22. f. 123; 24, f. 159 seq. ; 44, f. 176; 49, f. 51; 67, f. 104; 110, f. 103; 141, f. 278. 14. Diary of John Dee (Cam. Soc. xix), 4-6, 18, 31-3.